Buying and servicing a car can be highly stressful. With so many different options, it can be difficult to know if you are getting a good deal and are being treated fairly. 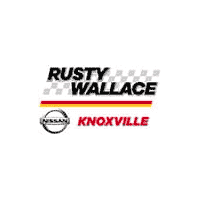 Rusty Wallace Nissan has proven itself to be the premier Nissan Dealer in Knoxville TN. If you are looking to purchase a new Nissan or simply need service on your current vehicle, Rusty Wallace is the Nissan dealer Knoxville that will leave you with a smile on your face. With a full line of inventory and a team of dedicated sales professionals, we have the inventory and know-how to find you the perfect vehicle in Knoxville TN. Our dealer offers a range of small and large cars, SUVs, pickup trucks and small and large vans to satisfy any customer. Our dealership also offers a wide range of pre-owned vehicles to fit any budget. If you visit our Nissan dealer Knoxville, you will be greeted with personal service and a dedication to finding the perfect vehicle for you at a price you can afford. If you already own a Nissan in Knoxville TN, come by our dealership for the best parts and service department in the area. Our trained mechanics have a deep understanding of all Nissan models and can quickly and affordably get you back on the road. Our dealership offers routine service specials such as oil changes or brake work and complex services that may require an in-depth diagnosis. If your car needs attention, our team of experts are trained to diagnose any issue and repair your car in a timely fashion. By having your car serviced at a Nissan dealer, you can rest assured that the work was done correctly and with the proper expertise. Your Nissan dealer Knoxville uses only original equipment Nissan parts where independent mechanics may use third-party vendors that make lesser-quality products. If your Nissan is under warranty, we can offer service to you at no charge to ensure that your vehicle stays in great condition for years into the future. Rusty Wallace Nissan is located off U.S. Route 25W on the road to Clinton. To get to Rusty Wallace Nissan, follow Interstate 75 or Interstate 640 to exit 3B for Gap Road towards Clinton. This Nissan dealer Knoxville will be located just off the highway on your left. Your satisfaction is our priority. When you visit this Nissan dealer Knoxville, you can rest assured that everybody from the salesmen to the mechanics to the manager are on your side and want to leave you satisfied with a reliable car. Explorer the 2019 Nissan Altima near Knoxville Tennessee. Click the link below to explore the Altima and view options, colors, trim levels and Altima inventory. Explorer the 2019 Nissan Frontier near Knoxville Tennessee. Click the link below to explore the Frontier and view options, colors, trim levels and Frontier inventory. Explorer the 2019 Nissan Maxima near Knoxville Tennessee. Click the link below to explore the Maxima and view options, colors, trim levels and Maxima inventory. Explorer the 2019 Nissan Rogue near Knoxville Tennessee. Click the link below to explore the Rogue and view options, colors, trim levels and Rogue inventory. Explorer the 2018 Nissan TITAN near Knoxville Tennessee. Click the link below to explore the TITAN and view options, colors, trim levels and TITAN inventory.